Wow, these books are awesome. Certainly page-turners, and really suspenceful. 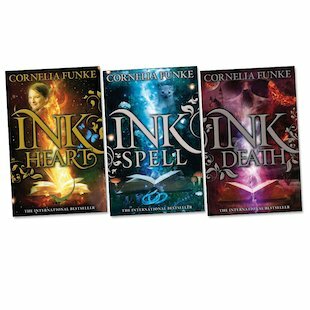 Cornelia Funke is one of my favorite fantasy authors. Really great books. An amazing book filled with imagination and adventure, the power all readers secretly think they have, to read things to life. It seems that all of Cornelia Funke’s books are just awesome. Excellent! Brilliant! very good! all you would ever wish for in a book and that goes for all three books! this trio is amazing selection of books. i love them. The Inkheart trilogy is a really good take on reading. By the end of this action-packed series, I was almost too scared to read because I thought they might come to life! They are really detailed and fun to read.